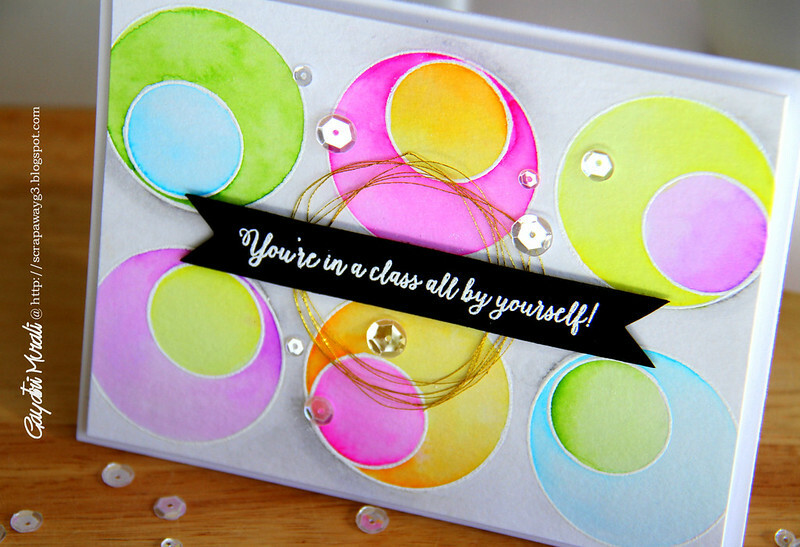 I am back today with a card I made for this month’s Pin Sights Challenge by Ellen Hutson. Here is the challenge mood board. I loved the open paint cans lined up next to each other. Tried to recreate that pattern but I wanted to add a bit more than just coloured circled next to each other. I chose Bokeh Dots stamp set by Ellen Hutson to make my card because I wanted to use the two outline circle images in the set. I stamped the large circles next to each other in two rows. Then the smaller circles again white heat embossed inside the large circles offset at different sides. Watercoloured using Zig Clean Brush Pens. Here is my finished card. The sentiment is from Amazing Women stamp set also from Ellen Hutson is white heat embossed on black cardstock. I cut the edges into fish tail and adhered on the watercoloured panel with some gold thread and foam adhesive. Finally Sparkly Clear sequins to embellish and bring the card together. 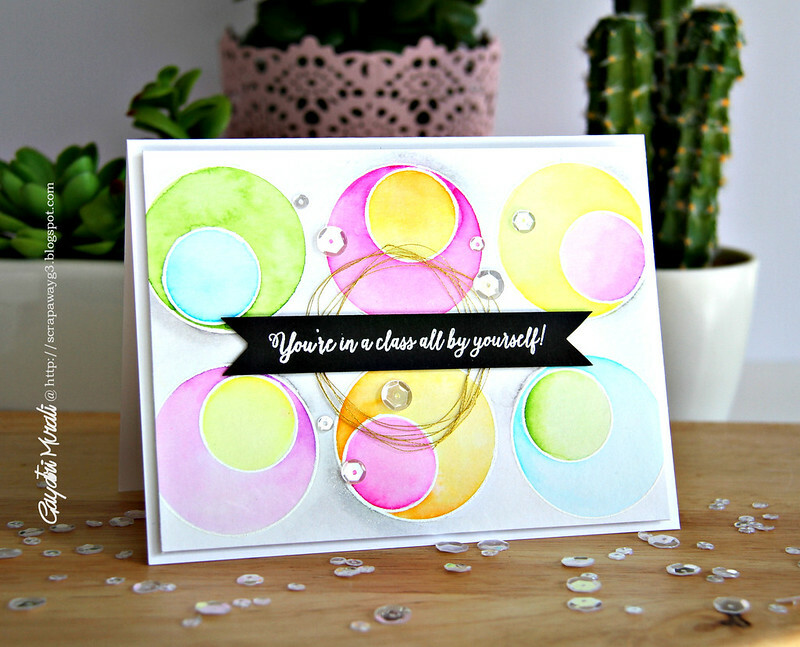 The colours are gorgeous inside the circles and makes a great impact. This is an amazing design!! Love your watercolored “paint” cans. THIS IS GORGEOUS! ABSOLUTELY GORGEOUS!!!!!!!!! !